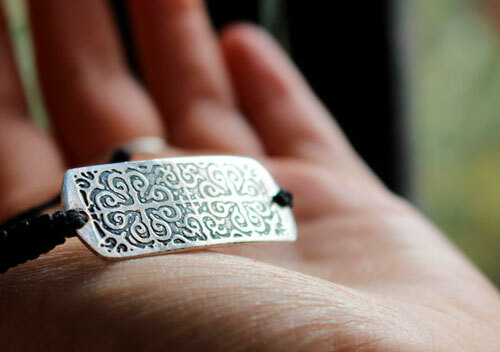 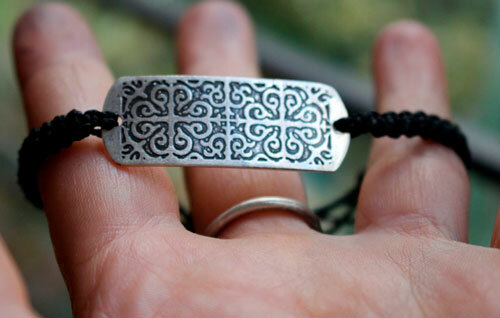 Enguerrand is a sterling silver bracelet which engraving represents a medieval pattern. 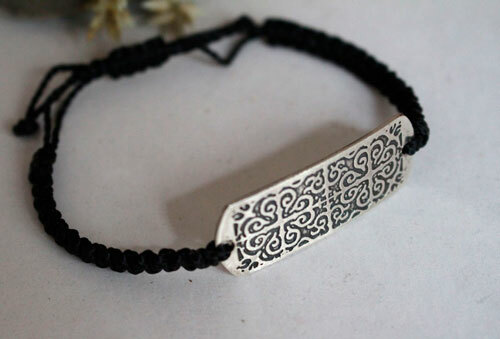 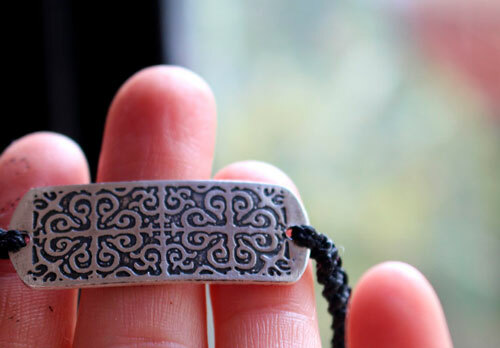 This large sterling silver rectangle with arabesque patterns was pierced on each side to tie a thread which was loomed in a solid bracelet with the macrame technique. 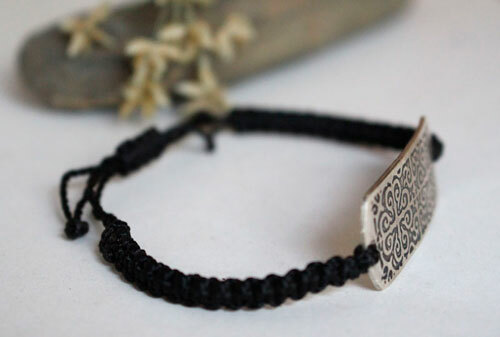 This bracelet will suit both men and women. 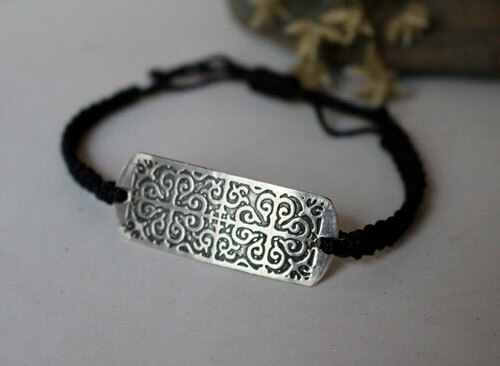 I will need 4 days to make this bracelet. 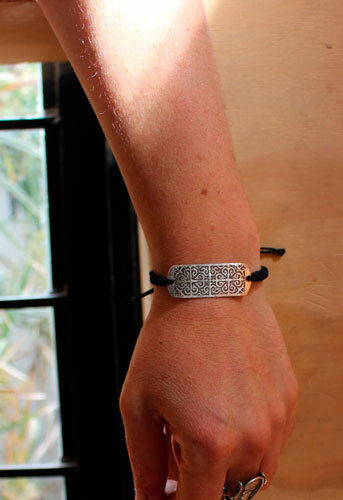 Thanks for telling me your exact wrist length when ordering. 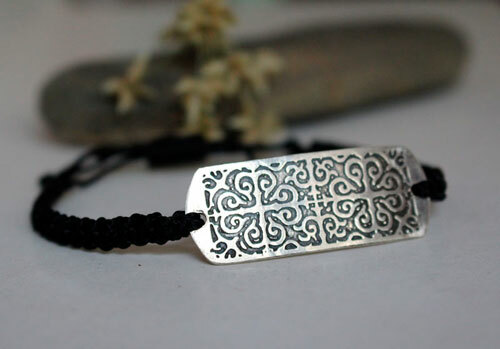 Tag: bracelet, sterling silver, macrame, engraved bracelet, medieval, baroque, scrollwork, masculine, feminine, father's day gift, birthday, baptism, wedding anniversary, arabesque, rectangular.